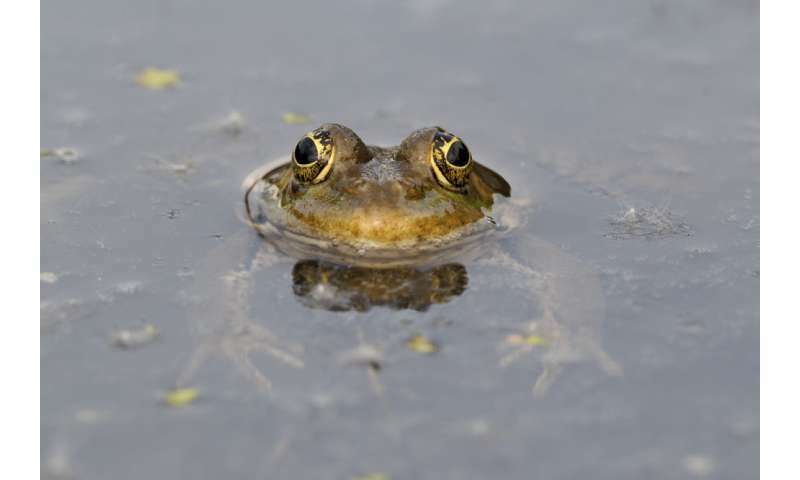 As RSPB conservation scientist Dr. Daniel Hayhow says: "Most people remember seeing tadpoles at the local pond or a toad emerging from under a rock while they were growing up. These first experiences with nature stay with us forever. Unfortunately, the sights and sounds of wildlife that were once common to us are sadly becoming more mysterious." Frogs and toads need clean ponds in which to breed, but outside the breeding season you'll find them in tall grass and log piles. The fashion of keeping our gardens meticulously neat and tidy is leaving our wildlife with nowhere to hide. Amphibians also provide a very useful pest control service (they love eating slugs and snails) so encouraging them into gardens could bring many benefits. So how do we help? The Freshwater Habitats Trust is leading the Million Ponds Project with the aim of creating networks of ponds. You don't need to rebuild your garden to get involved, as even a small outside tub can be enough to provide a suitable habitat for amphibians. If you are feeling more generous, then creating a larger pond can be a fun project – especially with children. Once put in, it will only take a matter of days before something decides to make it their home. It will usually be invertebrates and plants to begin with, but it won't take long for it to be found by a nearby frog or toad population. There are even ways to get involved if you do not have a garden. You can become a local "toad patroller", helping toads to navigate roads safely as they migrate to their breeding ponds. Or you could become a citizen scientist by reporting whenever you see a frog or toad through Amphibian and Reptile Conservation, and taking part in the RSPB's Wild Challenge.